We never and enver will push or force people to donate us. If your parents forbid you, then just don't donate us. You register it with your e-mail that you use, and I think it will be necessary to link a credit-card to it (VISA,MasterCard, ...). 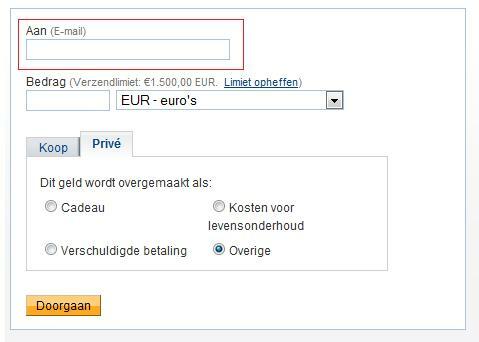 You could skip this step, but I think it's usefull if you explore Paypal a bit, and get to know it. If you donate us, you will actually donate on my e-mail. I have a registered account with alex.delabie@hotmail.com. Once you logged in on Paypal, go to the tab Send Money then follow the next images. --> If I have to add someone's money use like above here, just give me your country and Ill put it on. * Normally Paypal asks now if you are sure or it is a check if you fill in everything right.